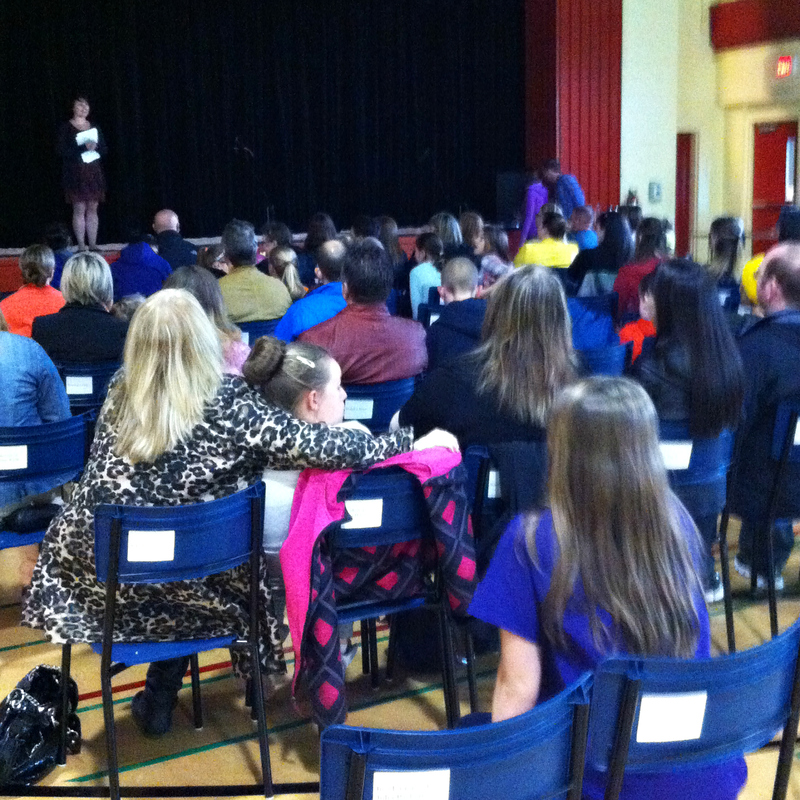 The gymnasium is a buzz as parents, family members, students, and friends arrive to take their seats. A head or two can be seen peeking through the thick, dark curtains that separate the stage from the audience as anxious actors scan the crowd for a familiar face. The director and stage crew scurry around to fix a last minute glitch with the sound system. And I sit waiting with curiosity for the show to begin. It’s June 4th and it’s opening night of Romeo and Juliet at St. John Bosco School in Shea Heights. The performance is the culmination of a community theatre-based project funded through Eastern Health’s Community Development Fund and spear-headed by the Shea Heights Community Alliance whose members are comprised of the Shea Heights Community Centre Board (SHCCB), Shea Heights Community Health Centre and St. John Bosco School. The Alliance created an innovative and proactive method of engaging youth in the discussion of universal mental health issues and concerns. This project actively engaged the youth of the community, allowing them to discuss such issues and concerns in their own voices, while simultaneously stimulating conversation and increasing awareness both among their own peer groups and the adults who ultimately watched their performance. During the school year, classes were held to introduce drama to the junior high school students. Drama instructors, a producer, and choreographer held rehearsals to practice a condensed version of Shakespeare’s Romeo and Juliet. Dr. Stephen Darcy, the physician from the health centre attended one of these rehearsals and led an informal conversation about the mental health themes in the play, as well as answering questions from students about mental health and wellness. This encounter served to strengthen the connection between the youth in the community and the health centre. 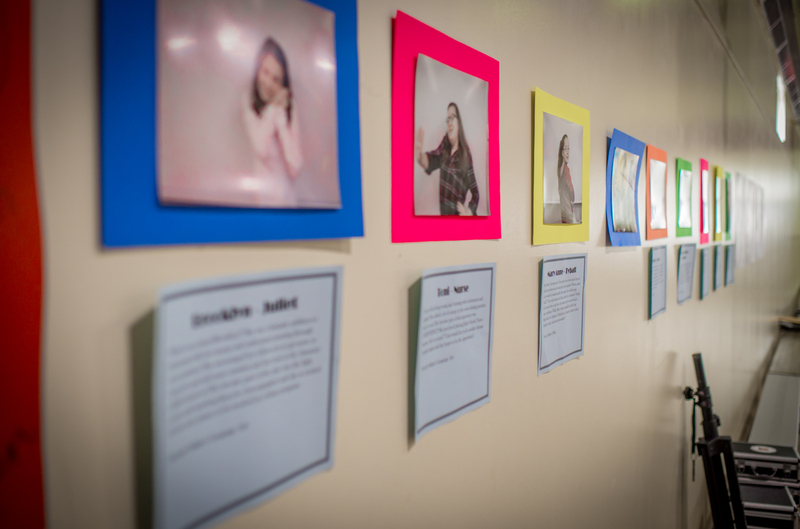 While the community centre board took on the day to day management of the project, it was evident during the evening that the students were very much involved in all aspects of the production – from narration, acting, stage set-up, and choreography to promotion and poster design, writing the actor’s bios that lined the gymnasium wall, and staffing the admission and refreshments table. “It was important from the start that the youth have ownership of the production. 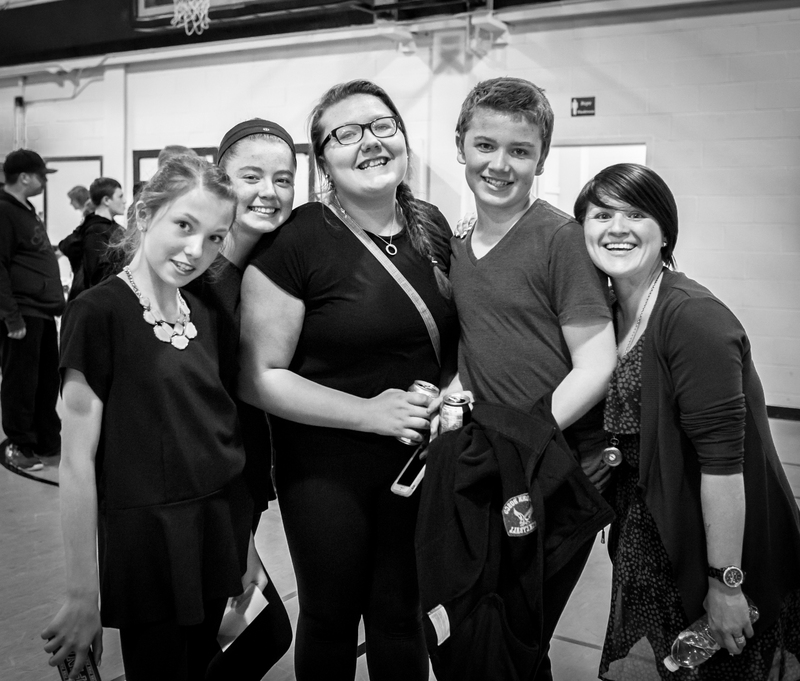 The skills they developed while working on the play, such as leadership and communication helped them to develop and maintain positive mental health and well-being; and working together on a project provides a sense of togetherness and belonging for all involved,” said Melissa Earles-Druken, Chair, of the SHCCB. As the play came to a close and the actors, crew, and director took the stage for their bow, I joined the audience of proud parents and community members to give a standing ovation for a job well done. Later, as everyone mingled over refreshments, performers and stage crew beamed when they received congratulations from parents and friends. This story was written by Heather Powell, a Health Promotion Wellness Consultant, working in Community Development with Eastern Health’s Health Promotion Division. ← Let’s Talk Turkey: History Lessons and Food Safety Tips for the Future!